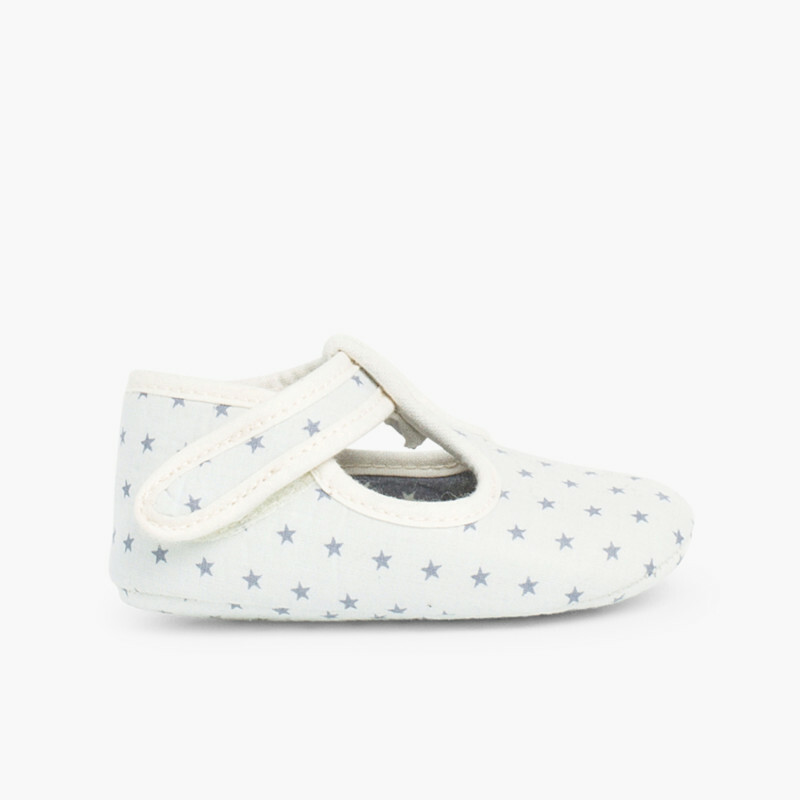 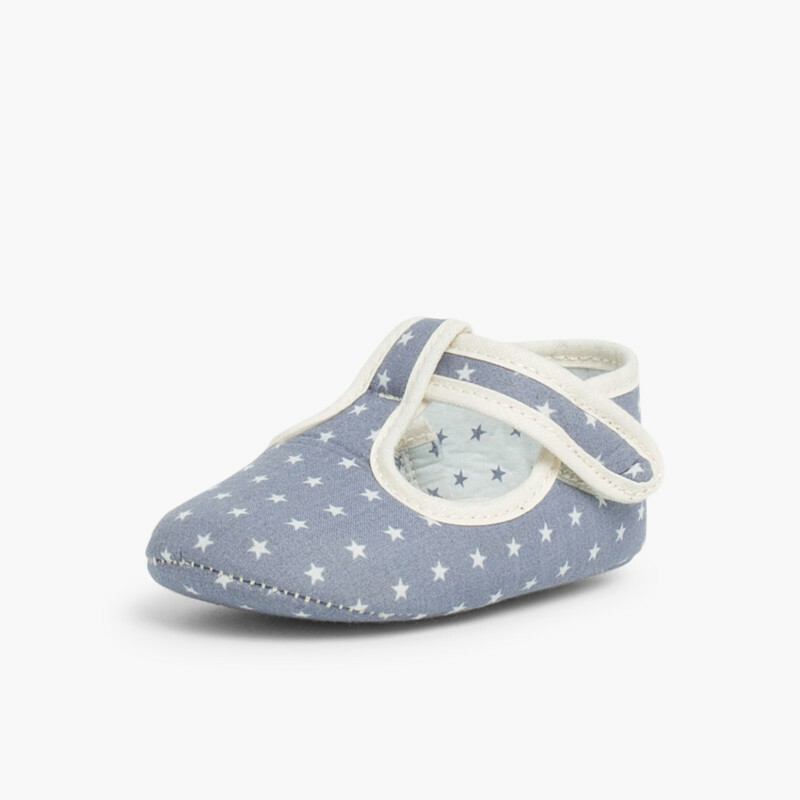 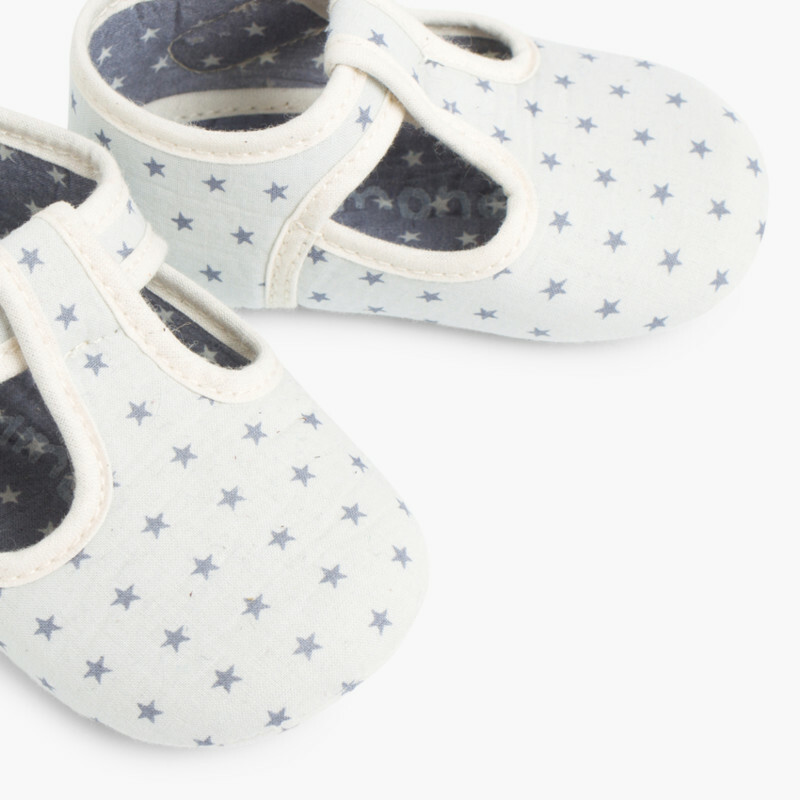 Lovely baby boy's shoes, T-bar style, made from canvas and featuring a lovely star print. 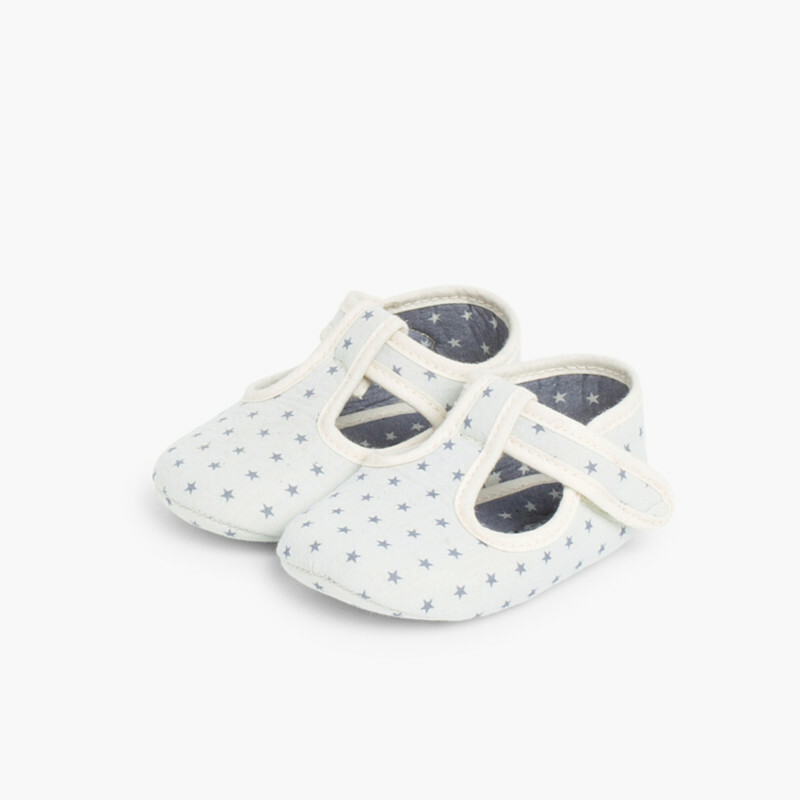 Ideal for pre-walkers in spring and summer. 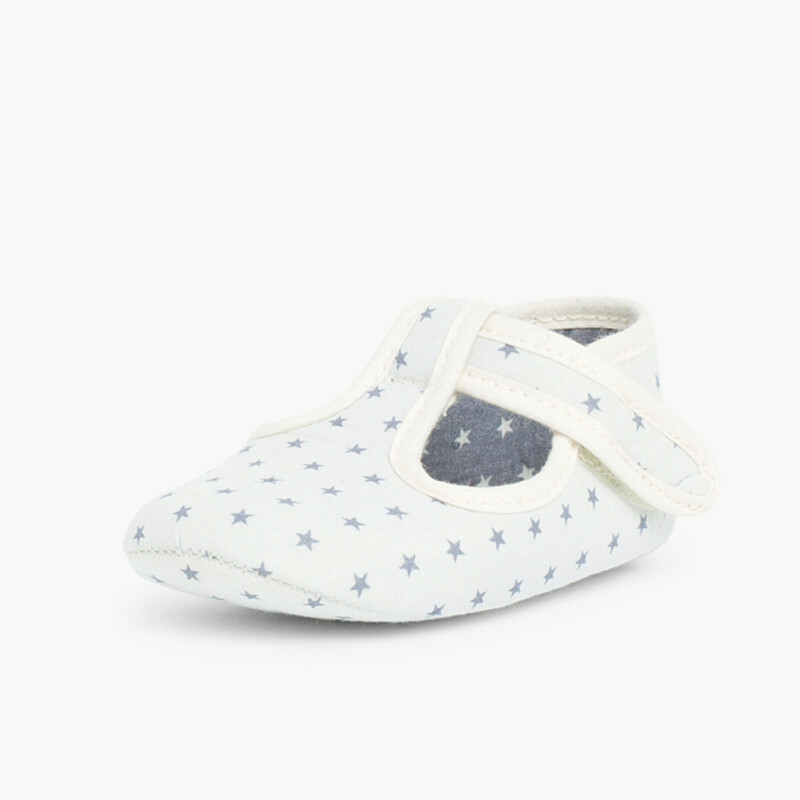 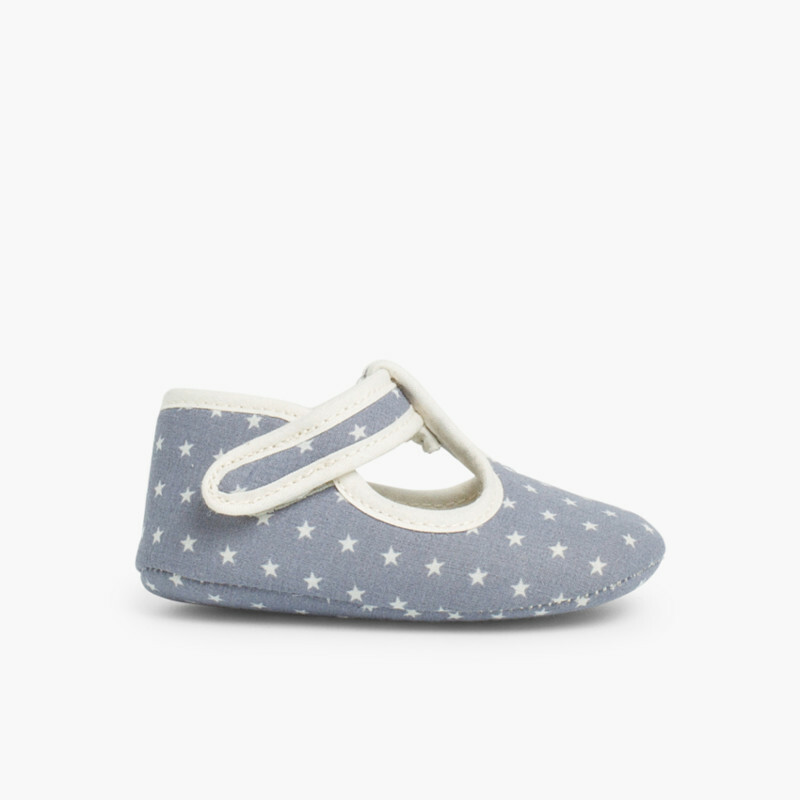 This light weight baby's canvas shoe with soft sole are made with the finest materials and have breathable cotton lining inside. 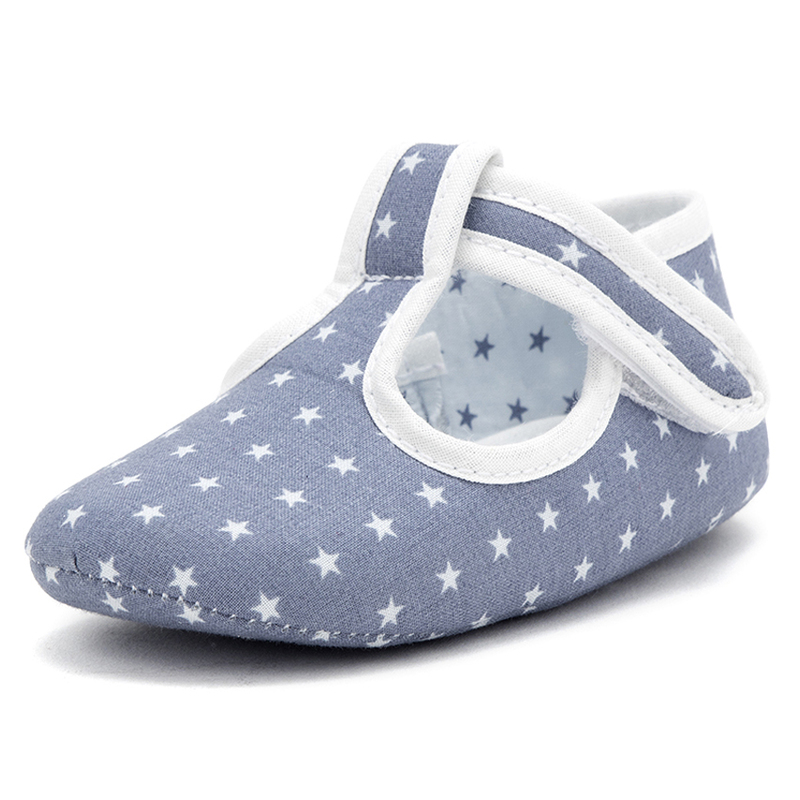 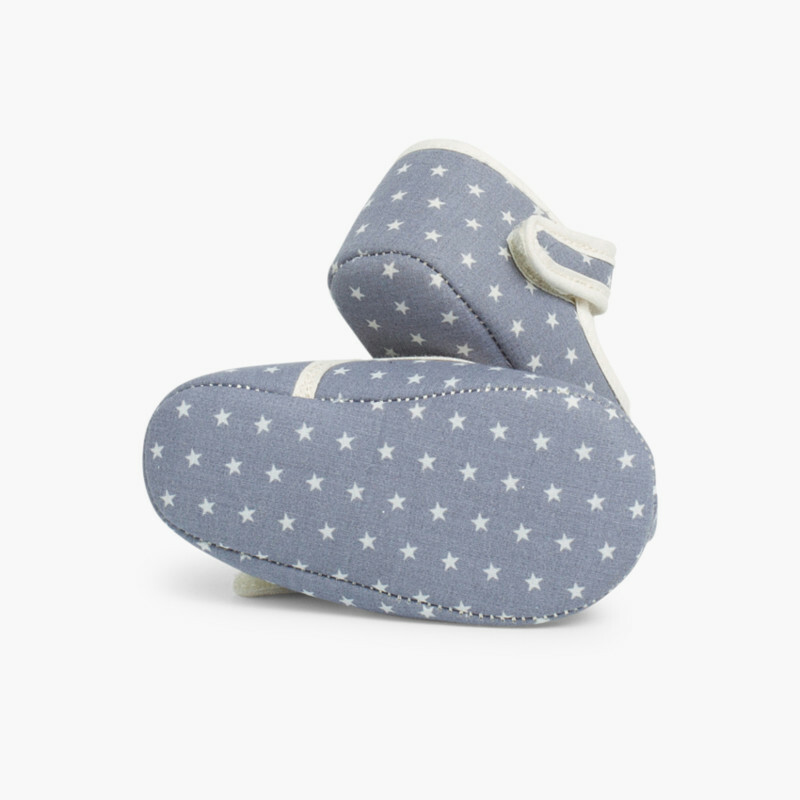 This kids' shoes are padded and have no hard parts or seams inside which could damage the baby's fragile skin. 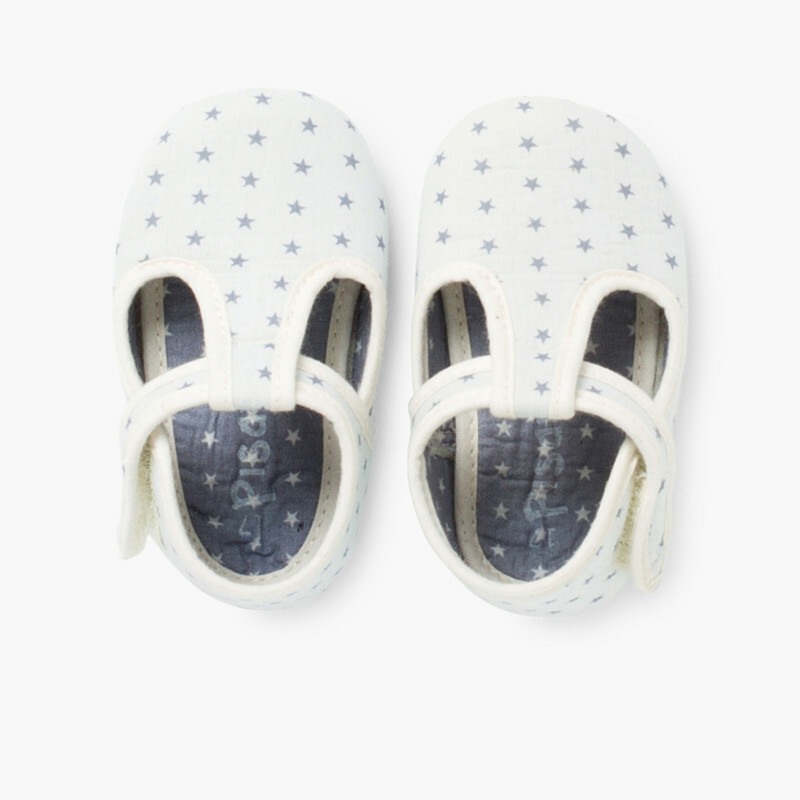 Available in sizes 0.5C to 3C and two pastel hues: navy blue and white. 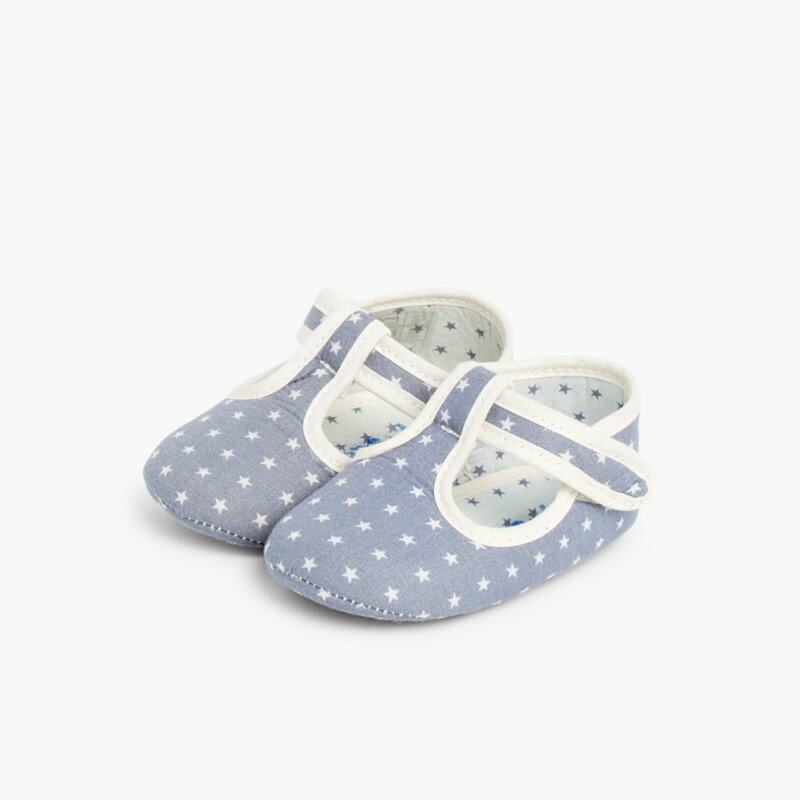 These shoes also have buckle strap fastening for better foot fit. 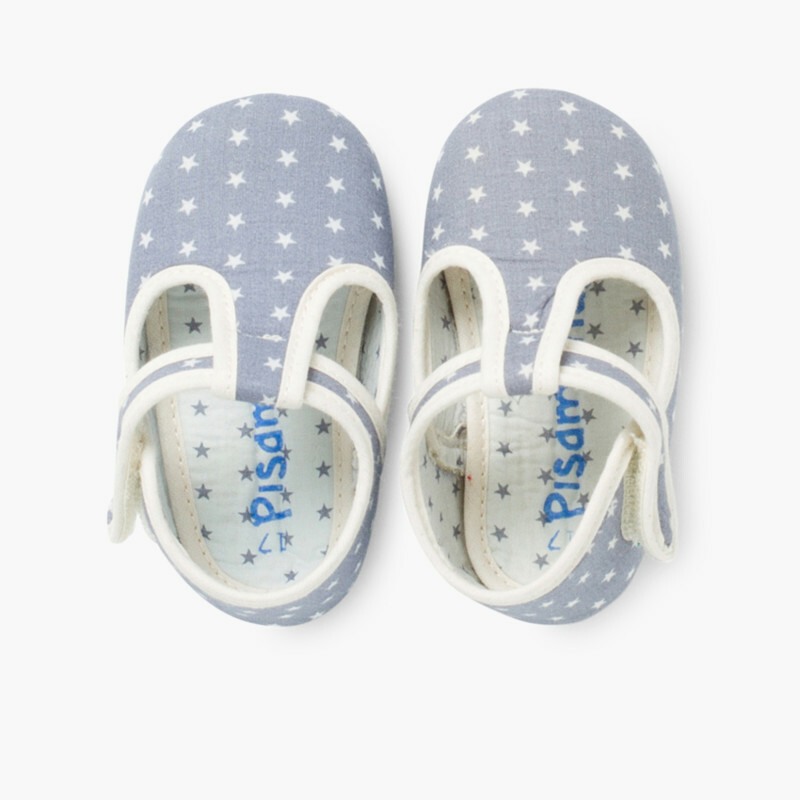 Discover our new collection Spring/Summer at Pisamonas. 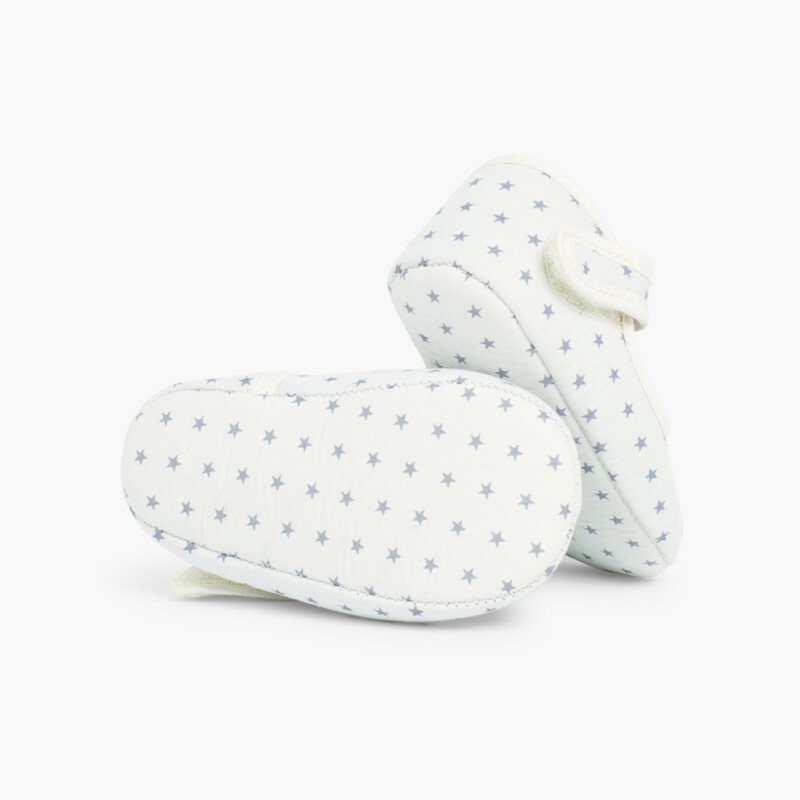 Free shipping & returns.